The moment we have been waiting for. After 10 weeks of X Factor nights, Australia voted to chose the winner of the X- Factor Australia 2011. The votes were revealed and it was so close with only 1% separating the winner and the runner up. And the winner is the 16 year old rockstar Reece Mastin! 40 year old Andrew Wishart, was the runner up. Sing and dance sensation Johnny Ruffo finished third. What? Sixteen year old Reece Mastin singing with Aussie Superstar Kylie Minoque? What a huge break for this young man. Reece Mastin closed last night’s Grand Finals show of The X Factor Australia 2011 with a duet with Kylie Minogue. “Kylie Ann Minogue, is an Australian recording artist, songwriter, and actress. After beginning her career as a child actress on Australian television, she achieved recognition through her role in the television soap opera Neighbours, before commencing her career as a recording artist in 1987. Her first single, “Locomotion”, spent seven weeks at number one on the Australian singles chart and became the highest selling single of the decade. One of the highlights of the Grand Finals of the X- Factor Australia 2011 is for the finalists to perform live with a superstar. Andrew Wishart had the privilege to sing with the well know band, The Fray. Young Rockstar Reece Mastin showed Australia why he went all the way to the The X Factor Australia 2011 Grand Finals. Reece Mastin has been one of top favorites in this competition and for his first song at the Grand Finals, he performed his audition song Come Get Some by Rooster. With the huge support of his fans, families, and school mates in Adelaide, Reece will surely have a big chance to win the X Factor Australia 2011 title. And the Grand Finals of the X- Factor Australia 2011 has finally arrived! The Three Grand Finalists Andrew Wishart, Johnny Ruffo, and Reece Mastin will sing their audition songs again, their best song of the series so far, winner’s single and a duet with one of superstar performers. 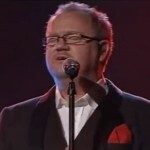 First up is 40 years old Aussie bloke Andrew Wishart singing his audition song, Someone Like You by Adele. This song kicked-off Andrew Wishart’s popularity that kept him up to this point of the show.It’s so nice to watch the video featuring Andrew’s family and the people who are supporting him. If all Melbournians will vote for Andrew, they will bring home the X Factor 2011 Trophy. Reece Mastin definitely raised his game plan by taking a huge rock song entitled Paradise City by the ever popular Rock group Guns N’ Roses! Reece Mastin is just 16 years of age and his huge voice can tackle almost any difficult songs of famous rock bands. Will he earn that huge ticket to the The X Factor Australia 2011 Grand Finals Show? Reece Mastin is surely back in contention and he is fighting really hard. After all it’s a singing contest and not some kind of strip show. What do you think Australia? Three Wishez performing a song by Adele? You’ve got to be kidding! 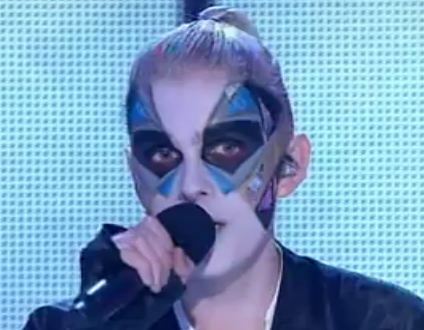 A huge risk for Ronan’s last remaining group at the X- Factor Australia 2011. How will they do it? Can a group sing and connect well with this huge song? Pleasure and Pain Week is about emotions. Did Joseph, Sophia, and Fred show enough emotions to win Australia to get behind them and get that grand finals spot? Watch the video below and find out! Three Wishez survived their first bottom two decider last week. Being the last group remaining in the X- Factor Australia 2011 competition, they must nail every remaining performances left in the show. Last night, they performed the song entitled The Time (Dirty Bit) by Black Eyed Peas. Joseph Gatehau, Sophia, and Fred-Day tried their best to make this song their own and they did a great job! Three Wishez ‘s mentor, Ronan Keating and the other three judges Guy Sebastian, Natalie Bassingthwaighte and Mel B did enjoyed their performance and gave the group positive comments! Will Reece Mastin wins back the support of Australia with this week’s theme Pleasure and Pain performance at the The X Factor Australia 2011? Reece Mastin has been one of top favorites in this competition but the past two weeks had been though for this young man. Once in the bottom two because of poor song choices, he needs to be back in contention. This week, he performed Break Even by The Script as his first song. Had he done enough? Find out what Mel B, Ronan Keating, Natalie Bassingthwaighte and Guy Sebastian about Reece’s performance. If you are a Reece Mastin fan, don’t forget to vote for him. It’s Semi-Finals time at the X- Factor Australia 2011. The remaining top 4 contestants were giving out their best shots to make it to the Finals. This week’s X Factor Australia theme was Pleasure and Pain. Each of the remaining semi-finalists had performed two songs each, one uplifting and one emotional. 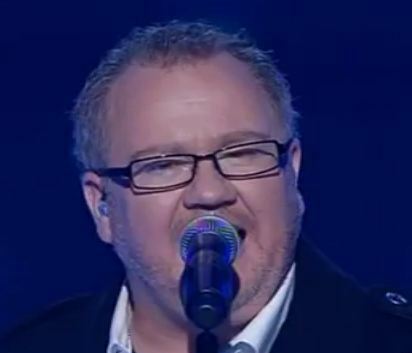 40 years old Aussie bloke Andrew Wishart delivered a John Farnham classic Burn For You in his second song. Call it emotional, high connectivity, and excellent singing! Andrew Wishart after singing this song, can probably win the X Factor competition with such a great voice and amazing rendition. So get behind this man Australia! The four judges Guy Sebastian, Mel B, Natalie Bassingthwaighte, and Guy Sebastian gave Andrew Wishart all positive comments for this performance. The youngest contestant, Declan Sykes, is still in the competition. For this week’s Live Show 7 Ultimate Dance Party! theme, he is up for the challenge singing Walking On A Dream by Empire Of The Sun. Declan Sykes has a very unique voice and with a personality that is mesmerizing. Watch the video below and find out what Mel B, Ronan Keating, Natalie Bassingthwaighte, and Guy Sebastian had to say about Declan’s performance. Remember, if you like him to stay in the competition, keep voting! Did this week’s theme Ultimate Dance Party! 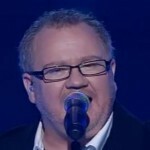 gave 40 years old Aussie bloke Andrew Wishart a hard time preparing for the live show 7 of the X- Factor Australia 2011? It must be a freaking experience for Andrew Wishart! Probably he was the main focus of attention given that he’s not the type of artist who does “sing and dance.” Pressure was also upon him after delivering excellent performances including a standing ovation for the past two weeks.